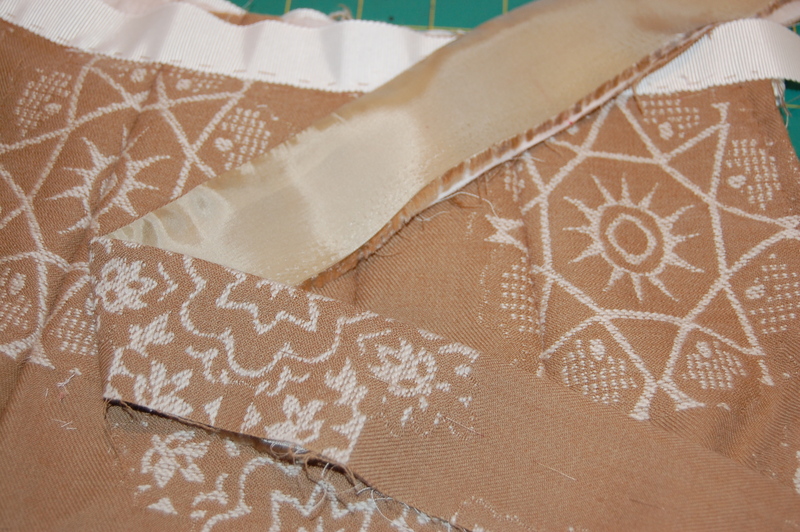 But this week has found me back in my sewing room, finishing up what was to be my final project for 2012. Flexibility, I have learned, is a great asset to cultivate, so I am trying to be flexible in my plans and take it all in stride. 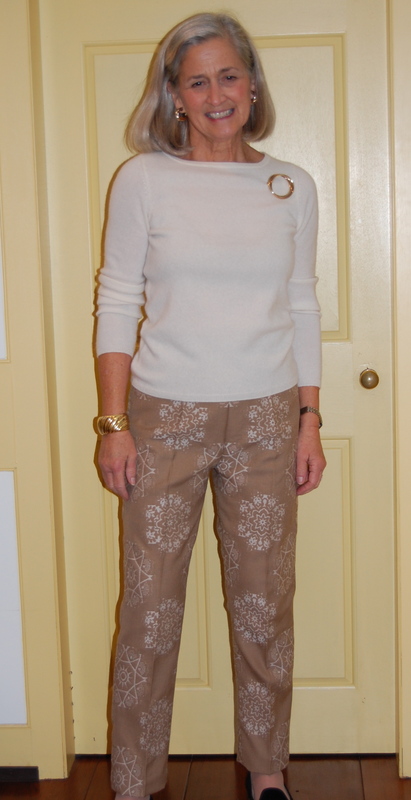 Indeed, I am hoping that I will be striding pretty in newly-sewn pants, which have now joined my wardrobe. I think I must like pants made out of figured fabric. 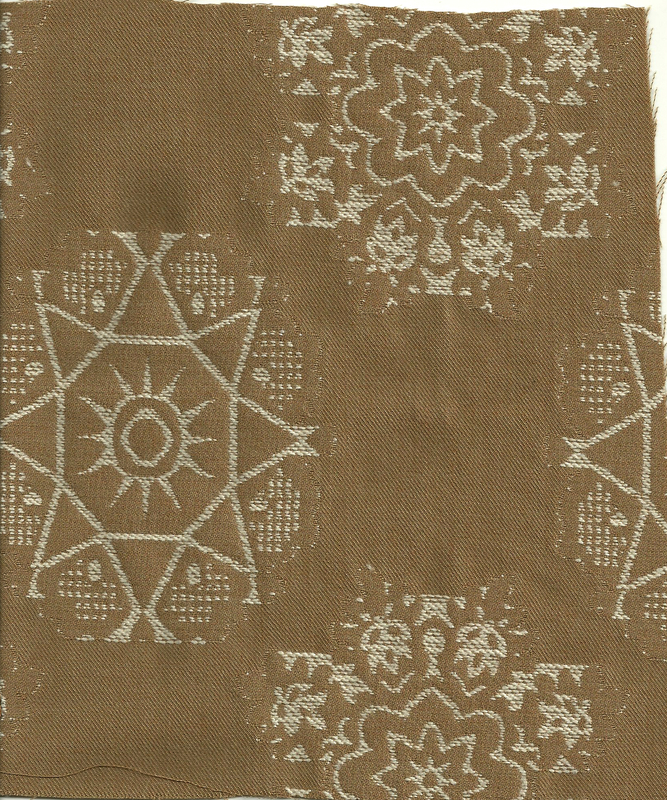 As soon as I saw this snowflake wool on the website of Waechter’s Fabrics, I knew I wanted to make it up in winter slacks. This is a jacquard woven wool, but very light-weight and soft. 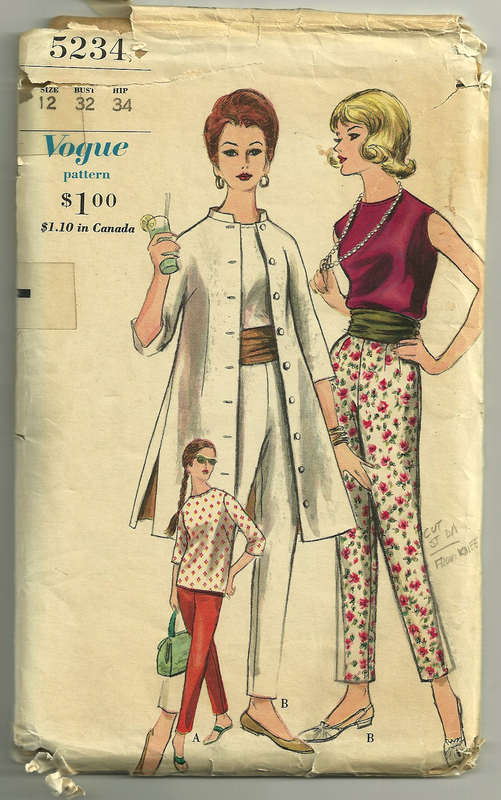 It was not even a decision to use the same 1960s’ pattern I used for my “very stylish” linen pants last Spring – pants’ patterns that fit are worth using again and again. 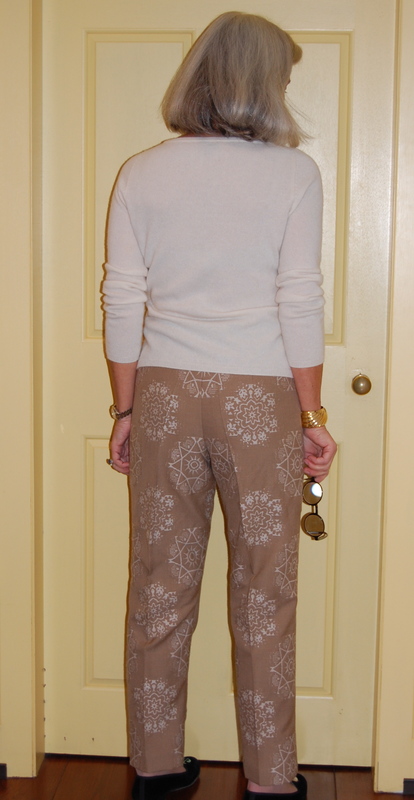 I made quite a few alterations to the pattern so that these slacks actually fit me! I did decide, however, to make these using couture techniques. I underlined them with a very light-weight rayon voile which I have used successfully before. I did not want to add much stiffness to this very soft and flexible wool, so the rayon seemed a better match than silk organza in this instance. 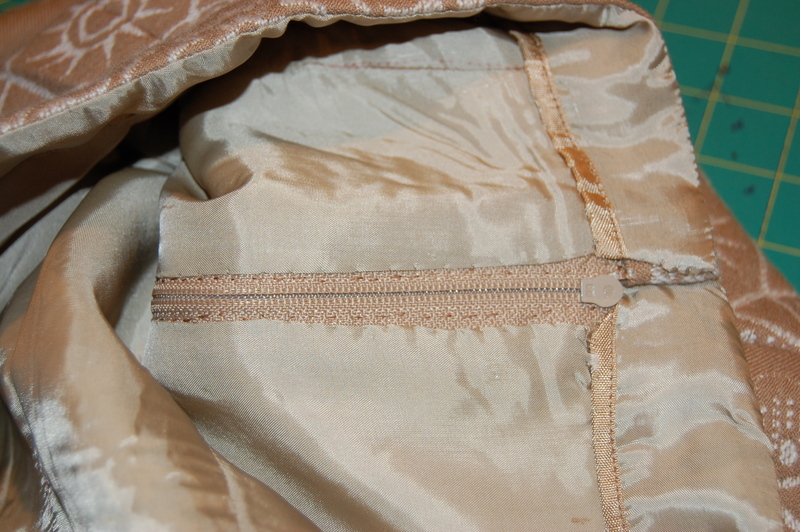 I catch-stitched all the seams, and inserted a hand-picked zipper. 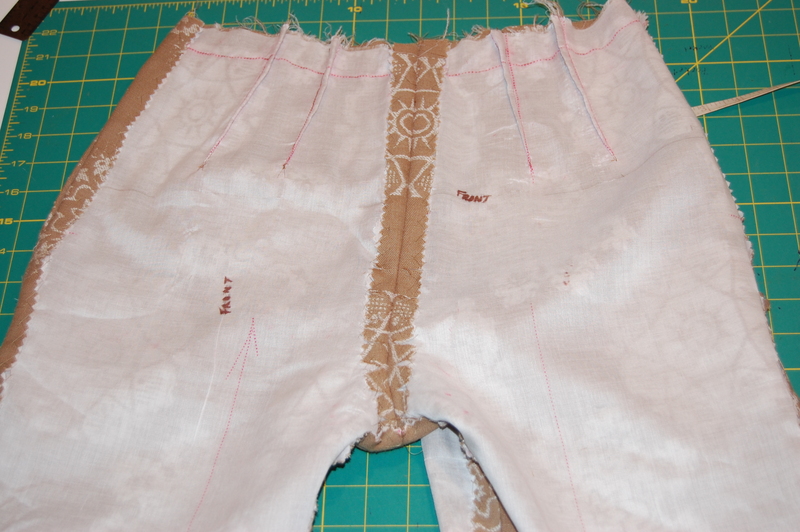 The underlined pants, with catch-stitched seams. 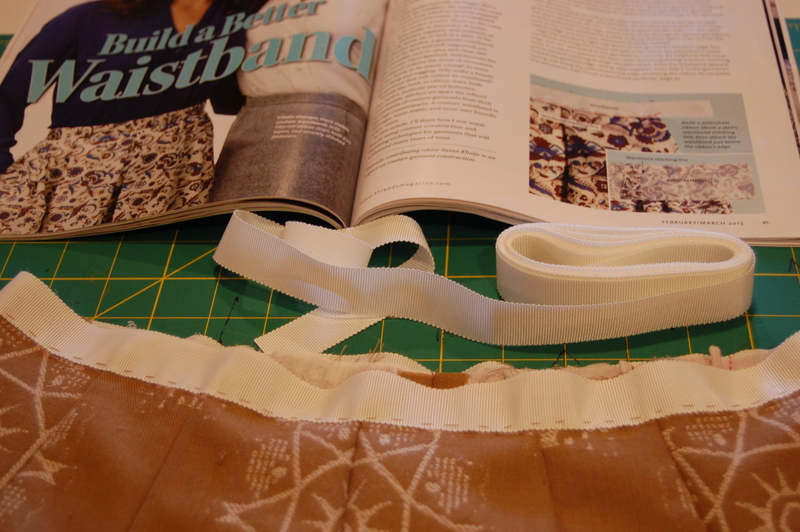 The Petersham ribbon basted onto the waistline. 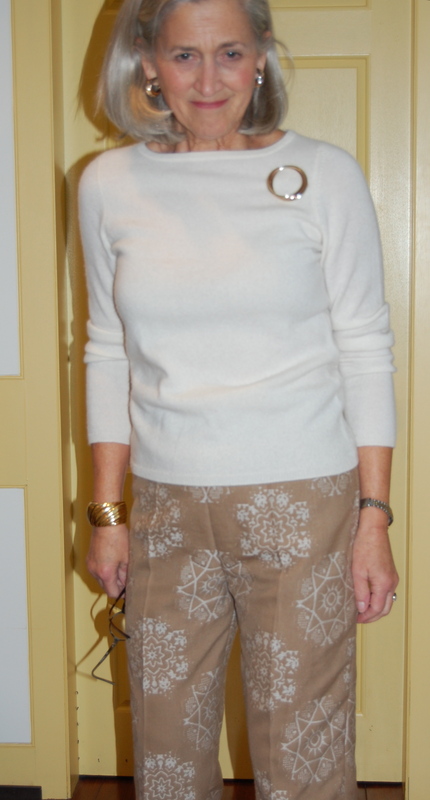 I even decided to make a “faced” waistband. 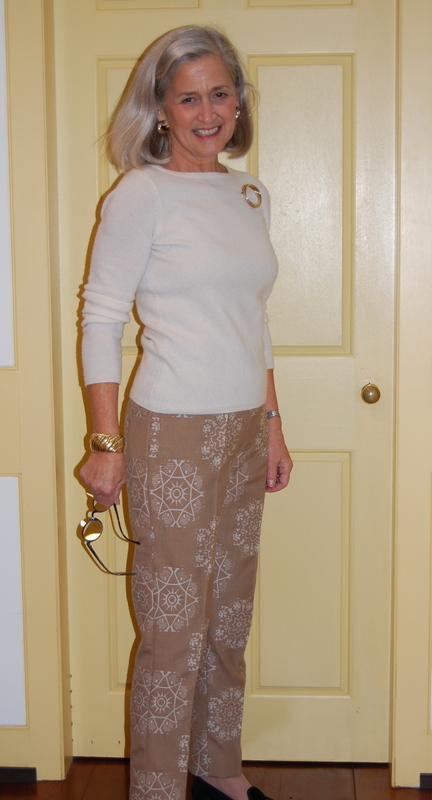 I knew that this would help reduce bulk in the waistband, but also it would insure that any “itching” around the waist sometimes caused by wool fabric would be eliminated. I made the facing out of the lining fabric. 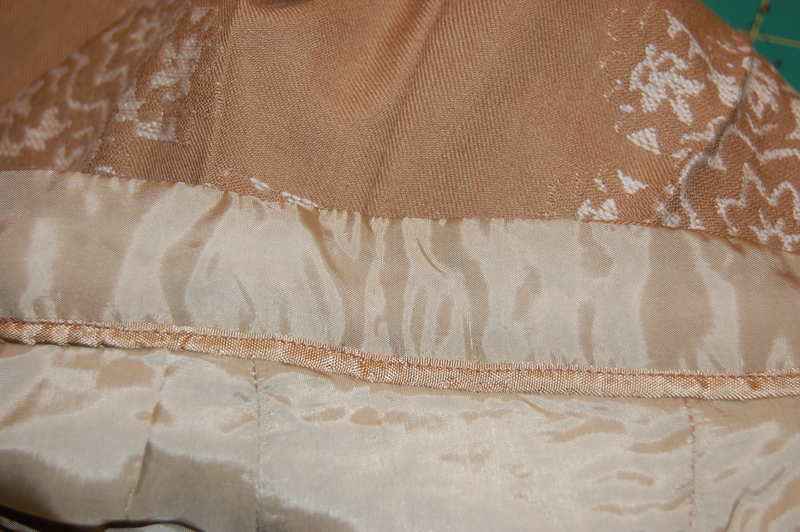 The seam binding helps to make a clean finish and hides my mistake! I don’t think anyone would suspect my mistake – except for all of you, of course! 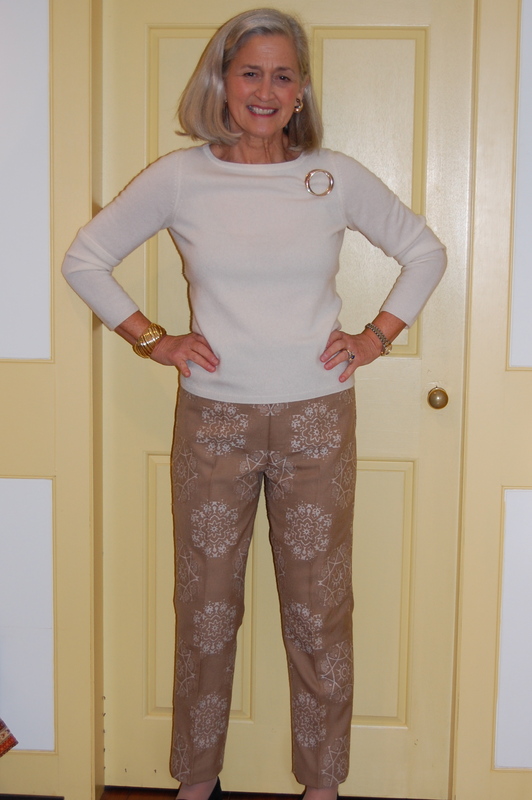 After final stitches to secure the lining to each of the legs, and then lots of steaming and pressing , my snowflake pants were finished! Here they are, all finished! Kind of a side view. 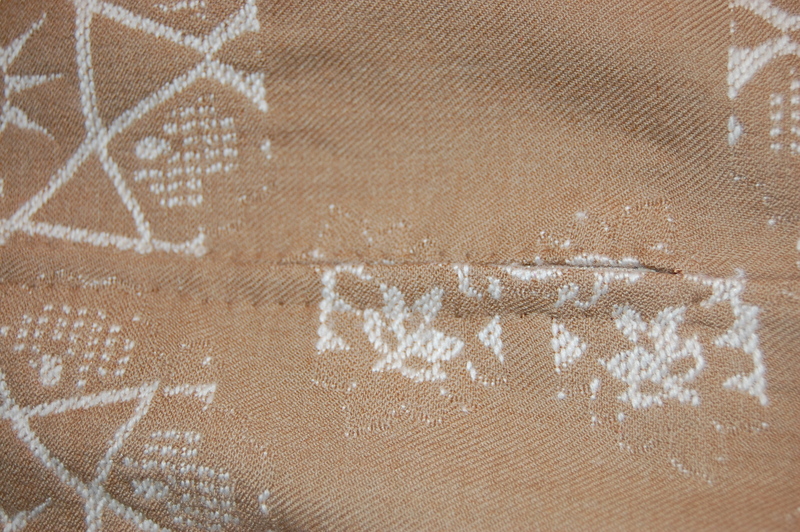 And a little closer up… I’m happy with the way I was able to align the snowflake “medallions”. We seem to be in a January thaw right now, so the only forecast for flurries must be – in my control?? Well, I happily guarantee that sightings of snowflakes will definitely happen this Winter! 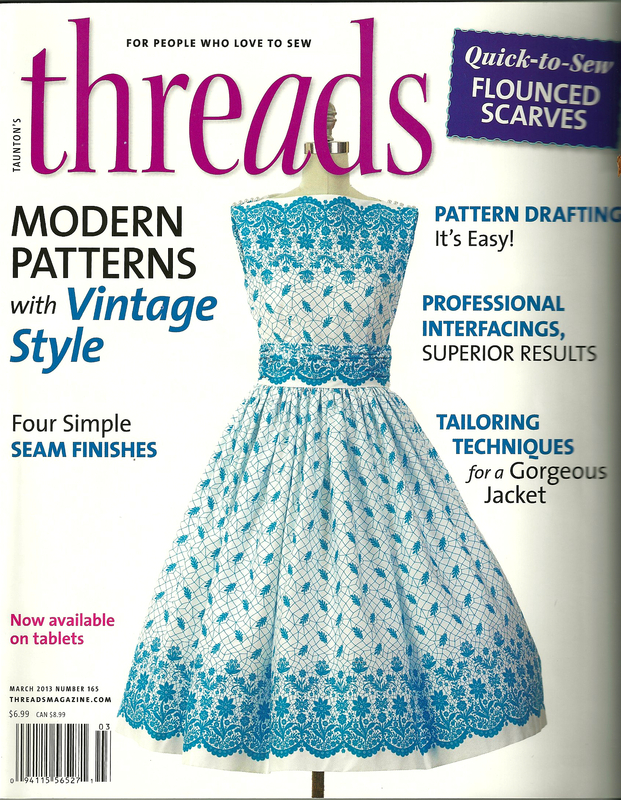 Enter your email address to follow fifty dresses and receive notifications of new posts by email. Seeing Double – No, Triple!